Easily Add Biblical and Classical Greek to Any Document! Professional-quality, hinted, scalable Greek fonts in both TrueType® and ATM®-compatible, Type 1 language font formats. LaserGreek Greek fonts include all 35 accents, breathing marks, iota subscripts, and diereses needed to type classical and Biblical Greek. These may be typed over any symbol in any combination. Each Greek font also includes the Nestle-Aland, UBS, Leiden, and TLG text-critical symbols and sigla as well as the Roman alphabet and French and German accents. The Windows and Macintosh Greek fonts are ASCII-compatible with each other and with LaserGreek II Greek fonts, allowing easy file conversion between Windows and Macintosh platforms. NominaSacra II, an uncial font which provides abbreviations for holy names in addition to the abbreviations in the NominaSacraLS font. GreekSansLS, a Helvetica®- (Arial®-) style (sans-serif) classical Greek font, in plain, bold, italic, and bold-italic. Below you will find Windows System Requirements, Macintosh System Requirements, Font Samples showing each font, and Testimonials of our users. For modern Greek fonts see Modern Greek and Modern Greek II. Also available is LaserGreek II, containing eight additional Greek fonts. LaserGreek II costs $99.95 separately, or $50 when purchased with LaserGreek. These two products together are called LaserGreek Professional on the order form and cost $149.95. Also available is a discount on the purchase together of LaserGreek and LaserHebrew for Windows. LaserGreek & Hebrew for Windows costs $179.95. LaserGreek & Hebrew Professional for Windows costs $279.95 and includes LaserGreek, LaserGreek II, LaserHebrew, and LaserHebrew II. LaserGreek is also available as part of LaserGreek, Hebrew & Phonetics, a discounted package that provides five of our most popular products at half price ($249.95). Also available is a compatible font product, the New Testament Manuscripts Font Collection, providing faithful representations of the original hand of important early codices or papyri of the New Testament and distinctive character forms of inscriptions from that period. Also available: a Student version: Graeca II plain and Hebraica II plain only. LaserGreek is also available as part of our Scholar's Packs, discounted packages that provide Bible study products at greatly reduced prices. 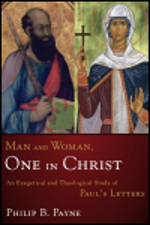 Also available: The Greek New Testament and the Greek Old Testament (LXX). Also available is a discount on the purchase together of LaserGreek and LaserHebrew. LaserGreek & Hebrew costs $179.95. LaserGreek & Hebrew Professional costs $279.95 and includes LaserGreek, LaserGreek II, LaserHebrew, and LaserHebrew II. Also available: a Student version: the Graeca II plain Greek font and the Hebraica II plain Hebrew font. "If there were a Nobel Prize awarded in Font Design, Philip Payne would be the unquestioned medalist!" "I am always very pleased with your fonts. I use your fonts for teaching elementary Greek. Your fonts have a pedagogical advantage and not only an aesthetic one. Keep up the good work." Professor David M Schaps, Department of Classical Studies, Bar-Ilan University, Ramat-Gan, Israel. "I love your LaserGreek product. Thank you." I am continually amazed by the variety and precision of the many linguistic products you provide. I think the UncialII Greek is the most elegant typeface. You also provide the simplest Greek keyboard layout. "As a longtime user of your Greek and Coptic fonts, I have always been impressed by the high quality of the fonts you produce and have also been grateful for your team's attention to customer service and technical support." "Thank you for the fonts, they work well and are beautiful." "I am so impressed with the beauty of the fonts!" "In at least 13 years of using Greek fonts I find Linguist's Software much the best." "I bought the LaserGreek earlier this year and found it to be an excellent tool for my work. Your software (and easy instructions) made it really simple for me to install LaserGreek and make the necessary changes to a submission in very little time." "Thank you so much for your prompt--and personal!--attention to my order. It's very gratifying to be able to be able to work with a program as well conceived as LaserGreek Professional, and to be able to work with its inventor when any problems arise." "The software works beautifully! Many thanks for your help and kind consideration." "We have used Linguist's Software fonts for several years, including your Greek and Hebrew fonts as well as your Semitic Transliterator. We have been pleased with the quality and functionality. Thank you!" "People here [at the Université Laval] are very happy with your products. I heard many praises about the LaserGreek and LaserHebrew fonts and keyboards." "Your software is the best I have found, and has proven to be very valuable in my seminary studies. The fonts and templates are working out well." "I am a great admirer of your Greek fonts. You have a wonderfully elegant keyboard design -- definitely superior to your competitors, including Greekkeys. Thank you for bringing the old SuperGreek up to date." "I first bought Macintosh fonts from Linguist's Software at least 15 years ago, and I was immediately impressed with their quality and used them for years with no problems whatsoever. When I switched to the Windows platform a few years ago, I tried several different sorts of fonts, but none of them were comparable in quality and ease of use to your products. My purchase a few days ago only served to confirm once again that fonts from Linguist's Software are in a class by themselves. (May I also compliment you on the excellent user's manuals that you produce; I'm glad that your company is willing to buck the minimalist trend in the industry and continue produce well-written, well-produced, very comprehensive [PDF] manuals.) A satisfied customer..."
"I've been using Linguist Software's Greek and Hebrew fonts for over 6 years throughout my higher education - they have enabled me to write up detailed textual studies and to produce professional-looking assignments. As I embark on a PhD I know I'll be relying on these fonts." "Linguist's Software provides excellent Greek fonts for Windows and Macintosh. Transferring documents from one platform to the other is made without problems. Their Greek fonts have excellent design and a large variety of styles." "Many thanks indeed for the Greek fonts. I am very pleased with them: they are working well, look very fine on screen and on paper, and seem to be dealing with conversion from SuperGreek perfectly... Many thanks again for the excellent and very convenient fonts." "I have been using LaserGreek since it first came out. A wonderful bargain. Everything worked like a charm. I'd never think of using another program. I recently purchased both the Old and New Testaments and this koine Greek, so readily accessible, will greatly enhance a new course I am teaching which serves to transition beginning Greek students from the world of grammar to real texts. An excellent product!" "This is an amazing resource for me. Thanks so much!" "I am really satisfied with your fonts. I am only sorry I didn't have time to expand on your fonts, their design and features. I can only add that it's a million light years from the old SuperGreek." "You make a great product. It is nice-looking and very easy to use. LaserGreek is a great product. Thanks." "Thanks very much - LaserGreek installed and works beautifully. I have to say it's extremely user friendly. I really am delighted with the fonts - within 24 hours I am typing almost as quickly in Greek as in English!" "I have been entirely satisfied with the product. Visually they are beautiful fonts and enhance many publications for which I did camera ready copy. Thank you." "The Greek Keyboard instructions were perfect and the keyboard was installed correctly. I am very happy to have the various fonts included in the package. In particular I am glad for the possibility I now have to represent the script of uncial manuscripts in your beautiful Uncial font. And all that rich aggregate of text-critical signs! You have really done scholarship a great service by creating these fine fonts. I wish you all the best and God's rich blessings." "My thanks again. Your fonts have served me well for more than a decade." "I much prefer the LaserGreek fonts to any other font on the market." "I have really enjoyed using your products. The Laser Greek is excellent! I used it for my M.A. Philosophy thesis on Plato's Parmenides. For my thesis I had to quote large passages of Attic Greek text. The Laser Greek was wonderful." "I dislike my Bible search program's fonts, which don't look half as good as yours." "Laser Greek and LaserGreek II are superb. I promote your admirable products incessantly." "I love your beautiful Greek fonts, really! Many thanks." "When I want to type a document and have it 'just right,' I will choose the Laser Greek." "Thank you very much. I very much enjoy using your fonts." "I am a satisfied customer of your LaserGreek fonts!" "Your LaserGreek I use daily, especially for quotations in abstracts and books of early modern theologians. It is really comfortable." "It works well in Windows XP." "I'm looking forward to enjoying the upgrade edition of LaserGreek and the LaserGreek II which is new one to me both for Macintosh and Windows. I esteem you for your providing various font software for almost all languages. Best Regards." "Everything is installed and working exactly as you have said and I am a happy camper!! I have written several things that make extensive use of Biblical Greek and some Hebrew." "I am delighted with my LaserGreek fonts." Scores of universities and seminaries have licensed LaserGreek and LaserGreek II, including Cambridge University, Oxford University, King's College London, St. Andrews University, the University of Wales, the University of Zuerich, Mainz University, Ecole Francaise d'Athenes, Bar Ilan University, the University of Victoria (BC), the University of Chicago, the University of California, University of Notre Dame, University of Texas, University of Washington, Southwestern University, the University of Cincinnati, the University of Colorado, Wheaton College, Covenant Seminary, Dallas Theological Seminary, and Fuller Theological Seminary.